Anita Kumar leads the Strategic Initiatives group at Sattva. She has over a decade of experience in both the private sector and the development sector and has worn various hats – employee in a large corporate, freelancer, and entrepreneur. She was with Procter & Gamble for five years in Sales & then Go-to-market Strategy for All-India. 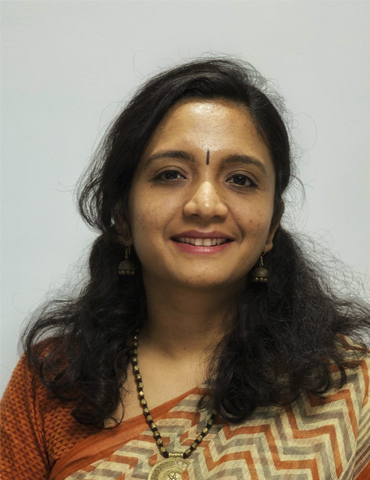 In 2009 she shifted to the development sector to use her skills to solve more complex social issues, and was consulting with different social organisations through her firm InsightsApplied including the Tamil Nadu Government, and various Foundations. For about 1.5 years, she consulted full-time with one of the large skill training organisations in the country helping them across a range of activities including mission alignment, impact measurement, sales strategy and partnerships. Last year she co-founded a social enterprise which used technology to bridge information gaps about learning and livelihoods for disadvantaged youth. Anita is a graduate of IIM Calcutta (2004) and has an MSc in Development Management from LSE.